Well-known Health & Fitness Club Says Don't Tell Members How Gastric Band Hypnosis Can Help Them! My Health & Fitness Club told me not to tell fellow members about Gastric Band Hypnosis which I offer because it competes with their services! I'm not competing with the gym, the fitness classes or the swimming & spa. On the contrary, I absolutely recommend that people do regular exercise and preferably something cardio-vascular to give them a healthy heart as well as toning & conditioning for their muscles. When hypnotherapy clients come to me for weight loss, I always recommend they join this particular Health & Fitness Club, whether our local club or one in their area if they are a Skype Hypnosis client. I was stunned when the manager took me aside. I had overheard one of the hugely obese members in the changing room complaining about how her weight was not changing, even though she regularly attended exercise classes. So I told her briefly about Gastric Band Hypnosis and gave her one of my information leaflets. She showed the leaflet to the manager who is also obese and I was told off. Gastric Band Hypnosis is a safe, natural and relaxing program of 4 sessions in which the client "undergoes gastric band surgery in a virtual way" ie we pretend s/he is having the operation. As our powerful subconscious mind cannot distinguish between imagined events and reality, it sends the message to the stomach that a gastric band is in place. 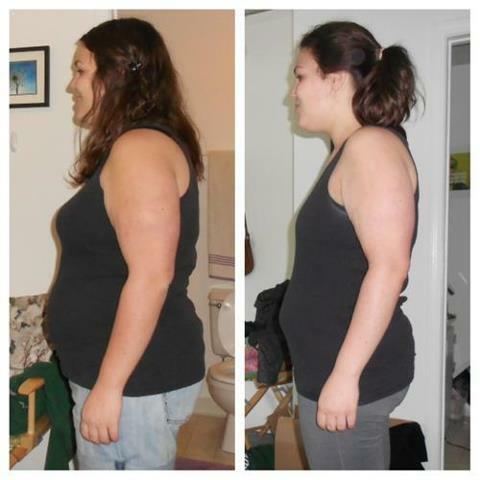 The client starts to reduce portion size and change eating habits to more healthy ones. Without any effort, the client starts to lose weight and, because this all starts in the powerful subconscious mind, these changes to eating habits are permanent. One man reported reducing his portion size by one-third overnight. One woman told me how her new 'conscious eating habits' changed the way she ate her lunch at work. My best result so far is a woman of 32 who weighed 24 stone (336 lbs or 152 kg) and lost 7 stone (98 lbs or 44 kg) with Gastric Band Hypnosis. 7 stone!!! Her doctor had told her she was not eligible for a free Gastric Band Surgery in the UK NHS system because her BMI was not high enough. She had to put on more weight before the NHS would fund her £10,000 operation. As she had not worked in two years and was severely depressed, she could not even consider paying for the operation privately. Gastric Band Hypnosis cost a fraction of that amount and did not leave her with scar tissue, bruising, stitches or needing to recover from general anaesthetic. It's an option that might be the answer to losing weight that you need. 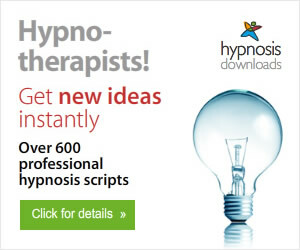 I offer Gastric Band Hypnosis for clients local to Portsmouth in Hampshire, UK, or worldwide over Skype Hypnosis. You can find me at English Skype Hypnotist. Have You Considered Gastric Band Hypnosis as the Safe and Easy Way to Shed Unwanted Weight? It must really hurt when your 10-year old son calls you "FAT". Sometimes the pounds just pile on day-by-day as your clothes shrink in the washing machine but one day you have to face the truth. It's not your clothes, it's you. 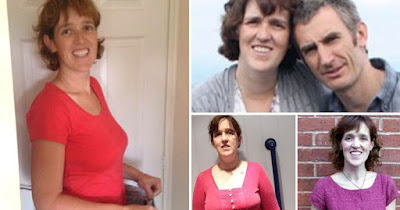 One English Mum hadn't weighed herself in years and was shocked to find her weight had crept up to 15 stone 3 lbs (213 lbs or 96 kg).he It's not just that she was struggling to squeeze into a size 18 in clothes - when you can find clothes in that size - but carrying extra weight is a huge strain on the heart and other vital organs. Her weight gain started with comfort eating of chocolate during exam periods at university. When she married, she started to serve up huge plates of pasta even though her husband asked her whether she should be eating so much. She made excuses not to take her children swimming, "I couldn't run after them and I daren't take them swimming,” she said. “I daren’t put on a costume. I felt horrible and had to cover up with a towel. I felt like crying whenever we went to the pool and I couldn’t get in. They'd ask if I was taking them swimming and I'd make up excuses and say their dad would take them as he was better at it." It was her son's words which affected her like a "knife in her heart" and she decided to take action. "He said he liked it because I was cuddly, but I was stunned.” Rather than enrol in the gym and give up after a couple of weeks like most people, she heard about Gastric Band Hypnosis and wondered whether it would work for her. It sounds obvious but, "A voice infiltrated my subconscious and told me that I should only eat when I was hungry. It also told me I should only eat small portions." Gastric Band Hypnosis is a safe,natural and relaxing way to re-program your mind and undo bad eating habits. It could work for you, regardless of your age, weight,BMI or the amount of weight you want to lose. Antonia Harrison is based in Portsmouth (UK) and is the English Skype Hypnotist who offers Gastric Band Hypnosis over Skype anywhere in the world, in the comfort of your home. Imagine being scared to leave your own home because of the way you look, fearing taunting and prejudice will bring on panic attacks. 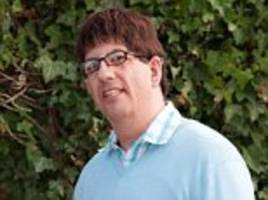 Richard Savage is a chef who suffers from Moebius Syndrome, a rare neurological disorder which paralyses the facial muscles. It can cause respiratory problems, difficulty swallowing, sleep disorders, weak upper body strength, and, as in Mr Savage's case, problems with speech. He has been taunted all his life and been the victim of prejudice, even being told once he was too "ugly" in a job interview. 'A friend suggested I try and get help with my agoraphobia so I had one two-hour session. I was very sceptical but I drifted off naturally, like a good night's sleep. It was like I had gone through a fog and there were no more worries, no more anxiety and no panicking. It is almost like you peel away years of anxiety and that is a big, dramatic change.' He says leaving his house for the first time was 'amazing'. The hypnotherapist who treated him said he came out of the session 'bright eyed and bubbly like a different person'. 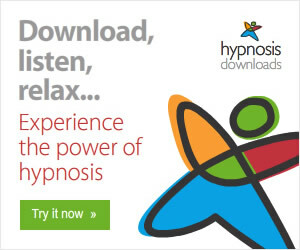 This is the power of hypnosis, working with your own subconscious mind to produce results, naturally and safely. Imagine what it could do for you.